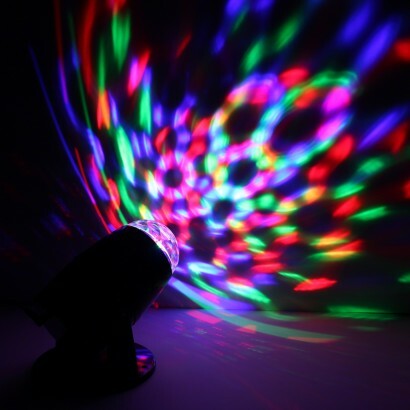 Project mesmerising kaleidoscopic light around your home for instant disco effects with this stunning projector lamp. 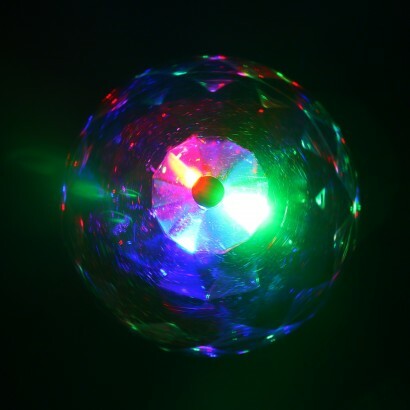 Lit with red, green and blue LEDs that shine through a clear faceted dome to produce an explosion of colour. Use to add a little party atmosphere to your home, or better still unwind post party with hypnotic mood lighting effects that soothe the senses.